So you found this free quilting pattern online and you love everything about it from the style down to the color combination. Unfortunately, not all the materials or colors you need is available from your local specialty store. Or perhaps you are a novice quilter and isn’t very experienced when it comes to fabric prints and color selection. You need not despair as there are a number of proven techniques to choose your quilt colors. Before going for the actual color selection, you can first choose a certain color scheme to follow on your quilt pattern. Having decided on a color scheme will make the actual color selection easier for you. 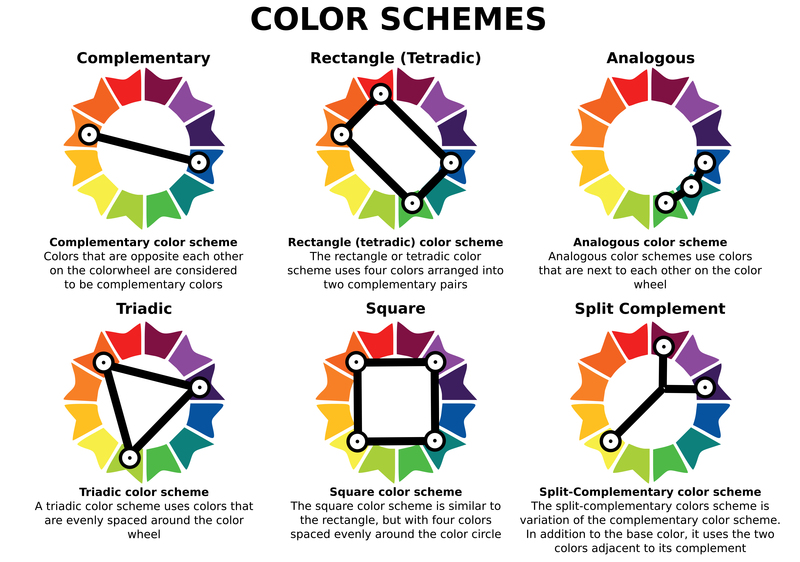 This is because once you have selected the primary color for your project, the rest of the other colors will automatically be determined based on the scheme you chose. Analogous color scheme – This is a group of 3 colors adjacent to each other on the color wheel. There will always be one primary or secondary color in this group and it would be the dominant color on your project. The tertiary colors on each side of the dominant color will be the colors to compliment the accenting (dominant) color. You can either use a printed dominant color and solid complementaries or vise versa. Complementary – As opposed to what it’s called, complementary colors are two colors that are directly across each other from the color wheel. For some reason, the striking contrast between them makes them look good together. 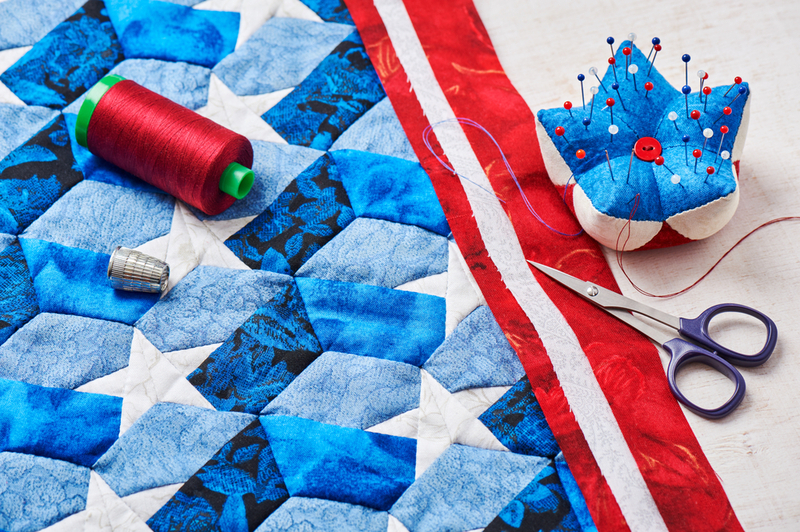 When using this color scheme for quilting, you can either focus on just the two contrasting colors (a solid concept will be produced) or add a series of neutral colors for your design not to be “too plain and boring” but still make sure that the 2 complementary colors are dominant. Triadic color scheme – This color scheme makes use of 3 colors equally spaced around the color wheel. The triadic scheme offers a high degree of contrast but maintains a certain balance and harmony. There are more color schemes aside from the 3 mentioned above. Please check the color scheme illustration below. You can also make use of those, just follow the color scheme concept and you can’t go wrong. Quilt pattern that calls for use of large-scale (large prints) fabrics. 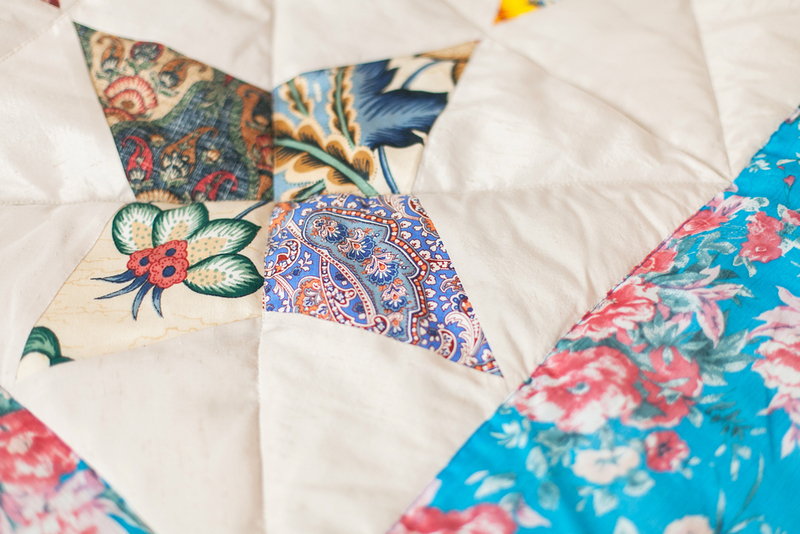 Consider the quilt pattern you plan to make and what it requires. Some patterns require small pieces while some have specific designs that make use of bigger pieces of fabric. For patterns that call for small pieces, use fabrics with small prints. When your pattern indicates a bigger piece, you can make use of large-scale printed fabrics. This way, the big prints will still be visible and wouldn’t be cut-up in a way that they are no longer recognizable. This is probably the easiest way, buying a set of pre-cuts. Pre-cuts are a bunch of fabric that is sold already cut to similar sizes. Most of these pre-cut bunches are a collection of different colors and prints in one manufacturer’s coordinated group. 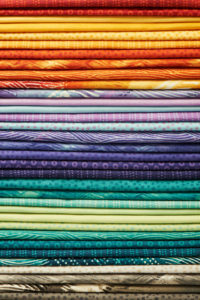 Yes, that’s right, fabric manufacturer usually produces fabrics in a group of 4 or more varying prints/designs and/ or colors that compliments each other. 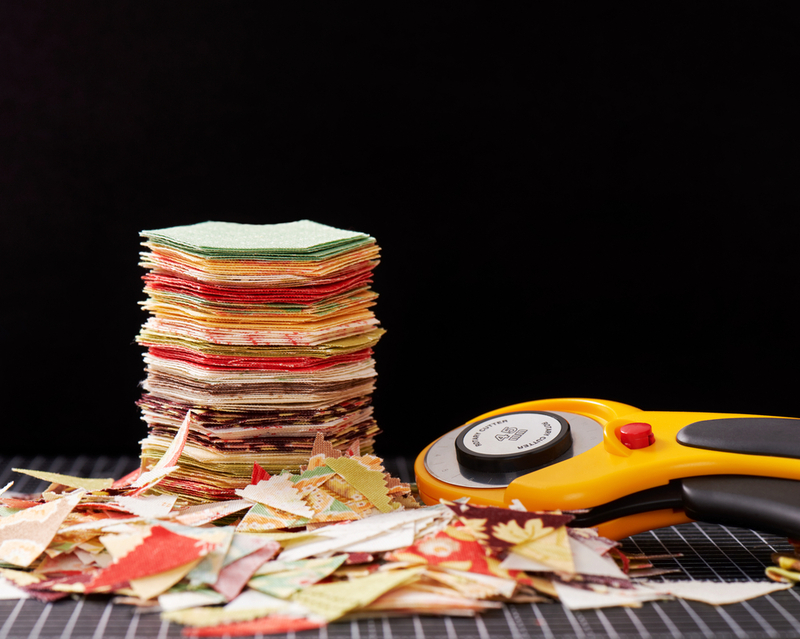 Pre-cuts comes in different sizes so you can choose which size of cut-ups will suffice for you pattern requirements. Stop the urge to buy ALL your favorite colors. I’m sure they are all beautiful, they wouldn’t be your favorite if they’re not. However, just because you like them all doesn’t mean they go well together. Invest in good quality quilting cotton. Don’t waste all the time and effort you invested in creating your masterpiece in an easy-wearing poor quality fabric. Use tone-on-tone fabrics (with the right color) to replace some of the solids, these are fabrics with very subtle prints that when you look at them from a distance, you may mistake them for plain, solid-colored textile. This will add a certain visual texture to the surface of your quilt. I hope that the techniques we suggested in this article come in handy the next time you select fabrics to use on a quilting project. We’d also love to hear from you. If you have other color selection techniques to share, please do not hesitate to leave us a comment by registering/ logging in here.